Joe has served in college-aged discipleship ministry for over 12 years. He attended Texas A&M University in College Station, TX and graduated with a BA in Speech Communication, minoring in International and Comparative Cultures. He served on staff at two churches in Dallas and Houston, leading worship for youth, discipling students and assisting in various young adult camps and programs. While earning his degree he continued to invest into the college life at his local church in College Station, leading community development teams and mentoring other young men. 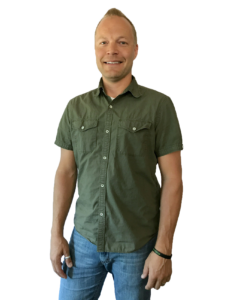 After moving to Colorado Springs, CO, Joe worked for the International Bible Society in the outreach and marketing departments for about two years. During that time he became heavily involved in the college/twenty-something’s group of his home church, New Life. He was later hired on at New Life Church to help direct their college-aged leadership development program, and later worked with the Desperation conference, collegiate house of prayer, and school. He has led many mission trips with various groups, including Teen Mania Ministries, the Mill, and New Life School of Worship – throughout Europe, Africa, East Asia, and Mexico. Joe has been the guest speaker for events at high schools, Summer camps, student mentor training seminars, college groups, and local businesses. Joe speaks and writes as a consultant on leadership development, vision alignment and conflict resolution.